The Duet Series violin case line combines the strength and rigidity of a wood shell with the modern comfort of lightweight materials. The 600D exterior is durable and resists tearing and scuffing, and the plush interior lining features a full suspension design that cradles and protects the violin. Includes two bow spinners that will hold two bows. 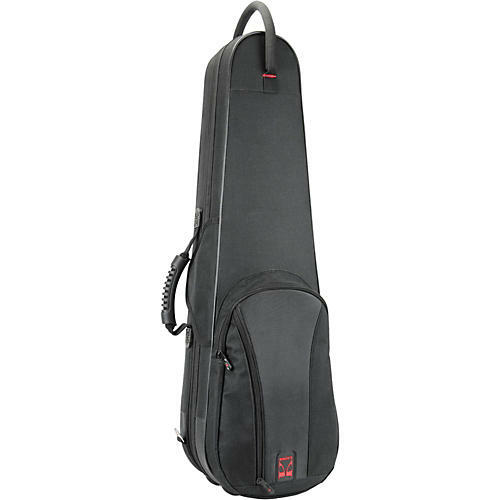 Two padded removable straps can be worn either as a single shoulder strap or as backpack straps. Ergonomic handles are placed conveniently for side carry or for us as a "subway" style handle. Includes a 6 year limited warranty.